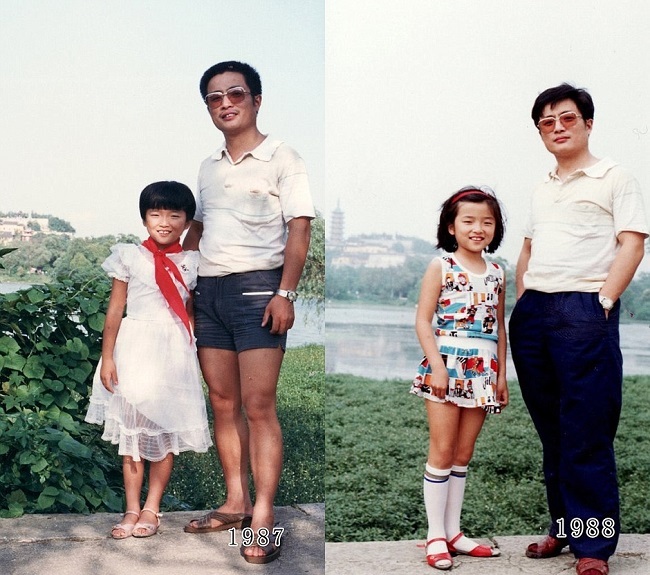 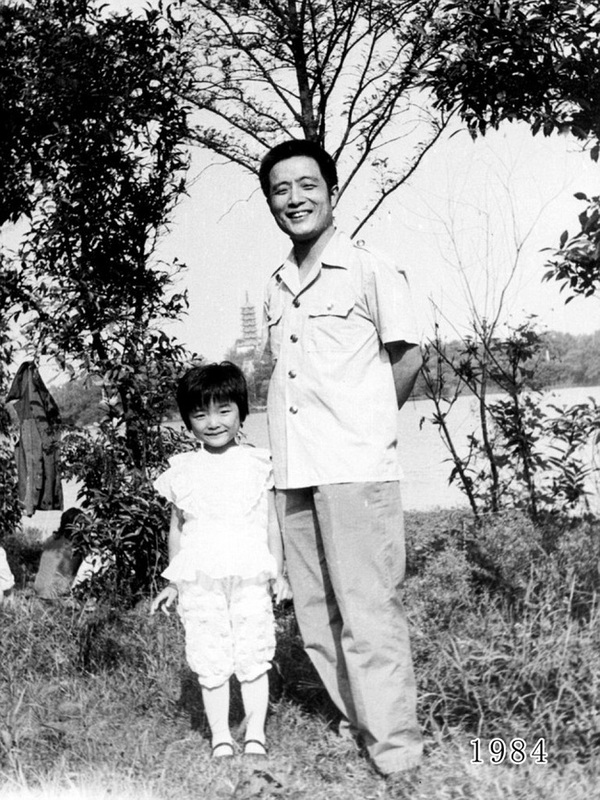 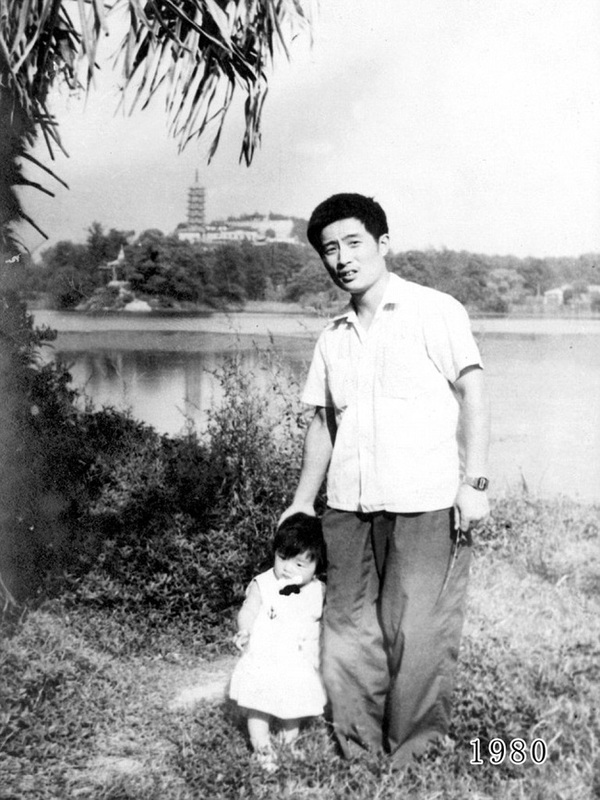 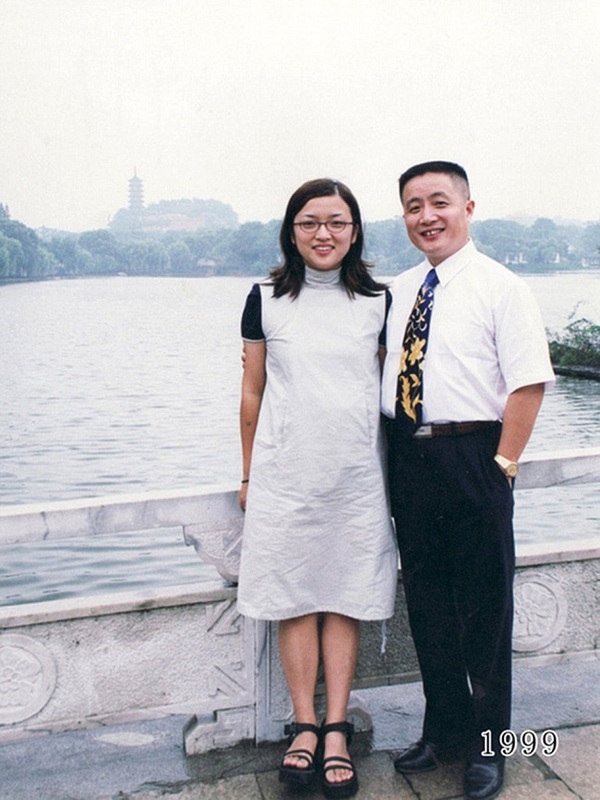 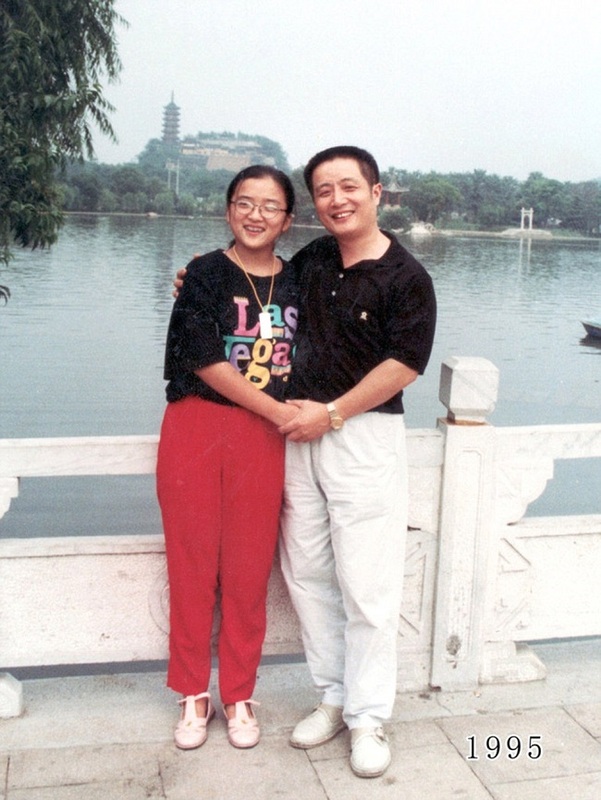 In 1980, when Hua Yunqing and his one year old daughter Huahua were photographed by a lake in Zhenjiang, Jiangsu, he did not imagine this would just be the beginning of a beautiful family tradition. 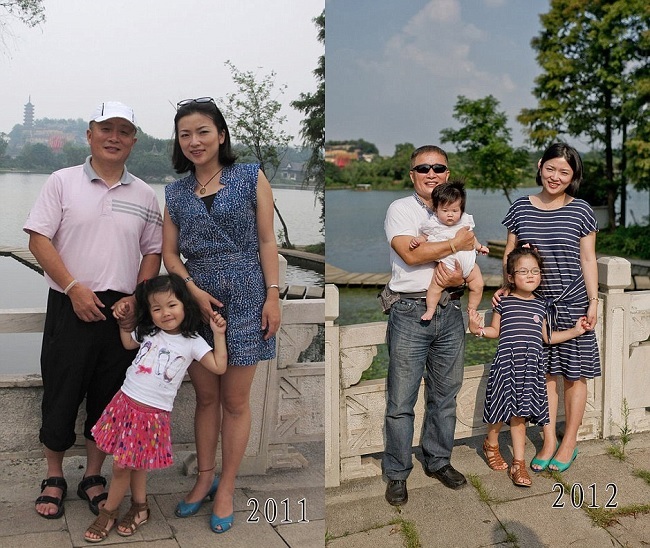 Since then, as Hua was captivated by the picture, he has returned back almost every year with his daughter to the same lake in eastern China’s Jiangsu province to repeat the photo. 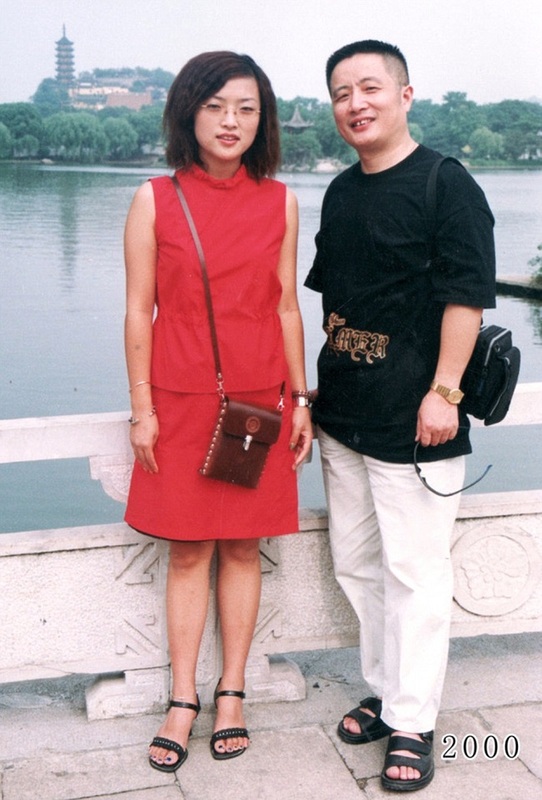 But as the philosopher Heraclitus said: “Ever-newer waters flow on those who step into the same rivers”. 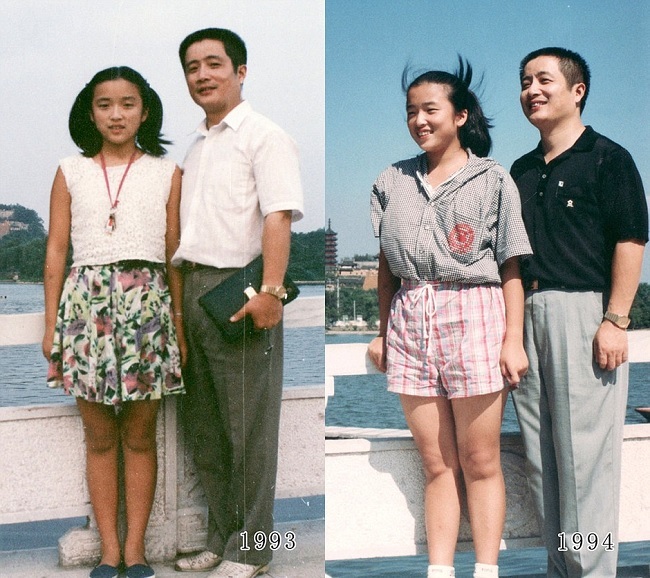 So these pictures below not only show the transformation of a girl growing up, but her father also aging, and a landscape changing as well with the pass of time. 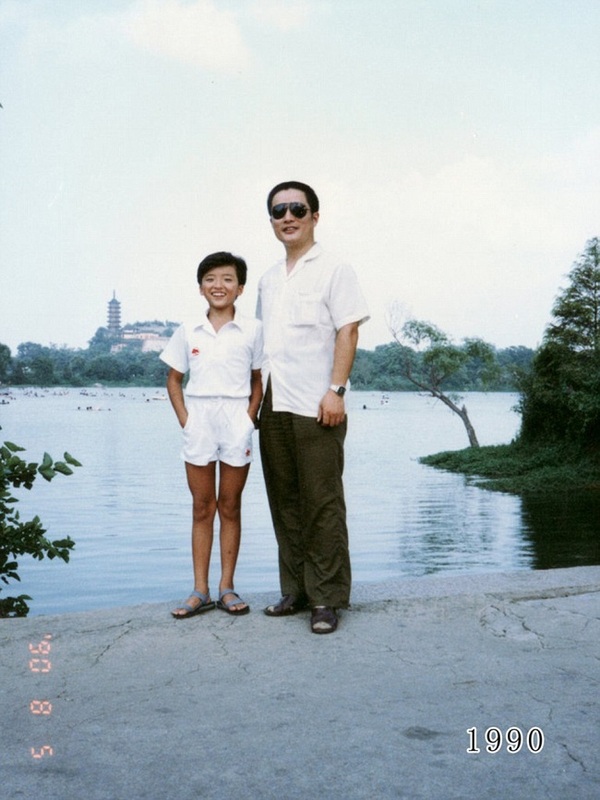 This photo taken when Huahua was just one-year-old and it was the first one in Hua’s album. 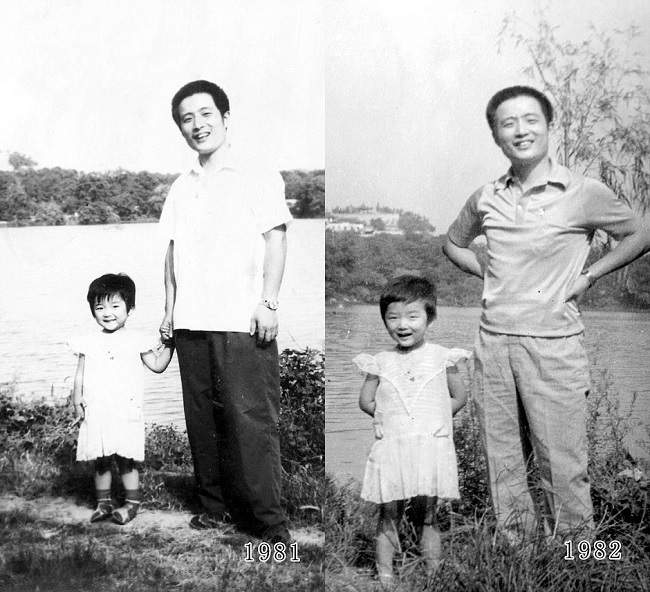 Huahua (2 years old) smiling to the camera with her father (left) and copying her father’s pose next year (right). 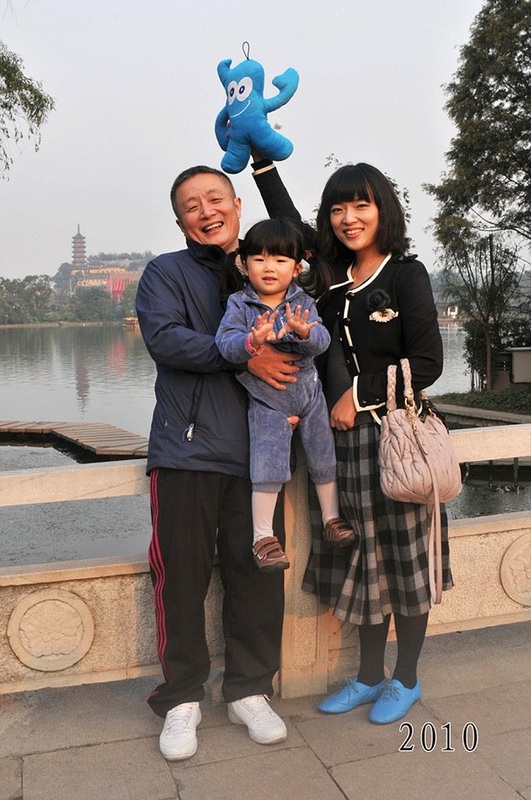 Father and daughter showing their happiness in complicity with the familiar lake. 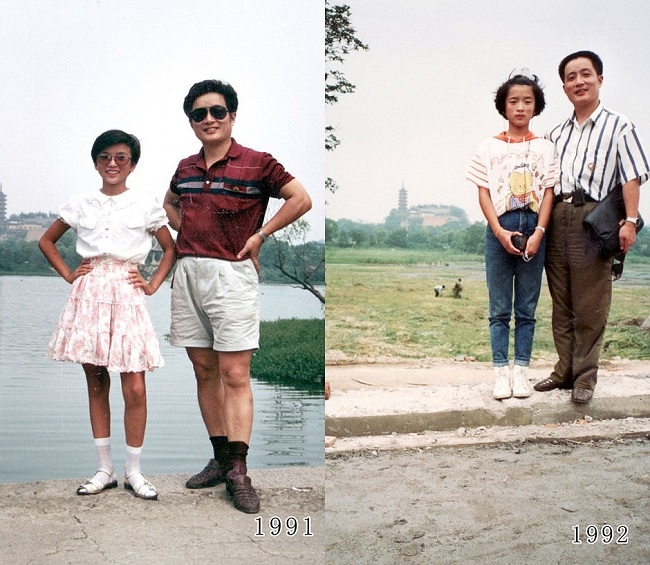 Huahua looks a little distracted and shy, but as always both of them smiling (left), and enjoying the beautiful shiny weather ready to swim (right). 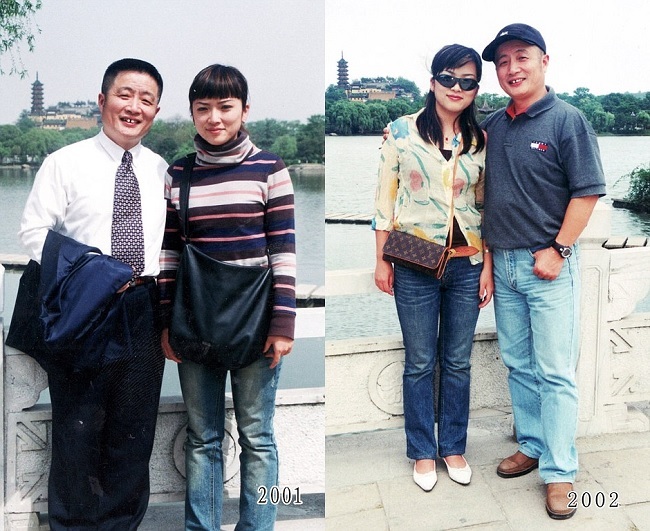 In 2008 a new member was introduced: Huahua’s first daughter was born and enrolled immediately in the tradition. 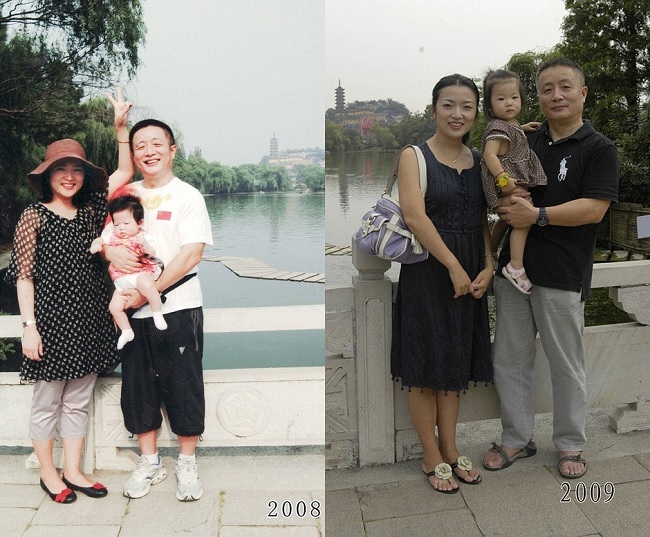 By 2012 they are already 4. 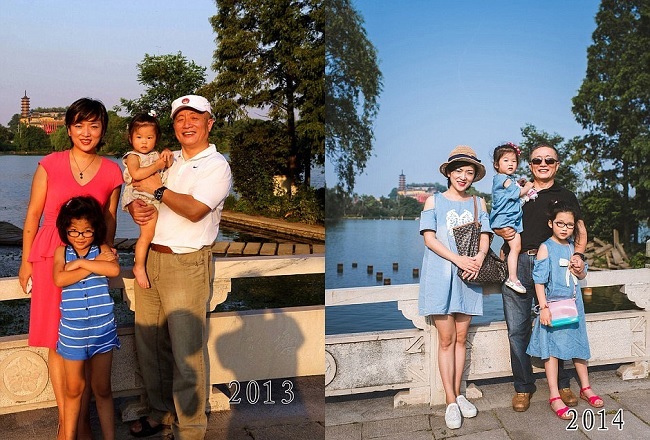 I hope the family keeps this beautiful tradition forever and continues sharing the upcoming pictures.